…and so much more. It can be quite overwhelming and an important step is understanding what all those media are but first it is most important to have the end product of your marketing efforts clearly in view before figuring out how to achieve the end product. Exposing or offering your product, service or brand to potentially interested people. Product: an impression. Collecting the contact information of people interested in your business’s products (your market). Product: an email address, phone number or street address. Enabling interested people to purchase the product or service either directly via the Internet or by contacting your office. Product: phone call, email or online purchase from a qualified customer. Create a free offer for a market (a group of people interested in something). The better your free offer the better this formula will work. Use the Internet to get your offer in front of those people. Make those people give you their contact information as a condition to receiving the free offer. Use the collected contact information to make further offers or further expose your brand to the market on a regular basis. A local supermarket offers a super coupon for a popular product. People who shop there will give their email to get it and then the supermarket can continue to email them offers and keep them coming back for more. An auto repair shop offers a coupon for a free oil change (something every car owner needs) and gathers a list of car owners who can be emailed car care advice which keeps the auto repair shop’s name on the car owners mind so that when repairs are needed they know exactly where to go. Steps 2 thru 4 require some expertise on how to get your offer in front of the target market, setting up the infrastructure required to collect the contact information and deliver the offer as well as setting up how to continue to stay in contact with the newly collected list. The team at Yves A Martin Consulting can help! 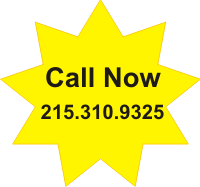 Just give us a call at 215-310-9325. Subscribe to this blog or our email list to get alerted when our next posts in this series are published – we will be clarifying what all those Internet media are and how they fit into the Internet marketing formula.